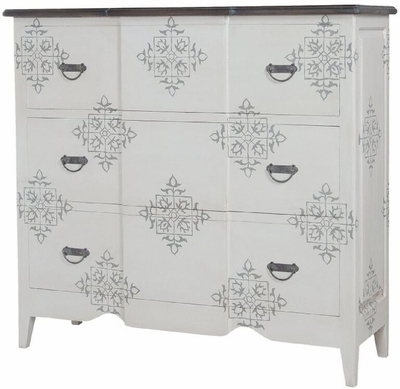 MANOR TALL CHEST - Manor Griege finish with handpainted cartouche pattern on carved wood chest. Waterfront Grey Stain with White Wash on chest top. Antiqued hardware.